APK Thermal provides cleaning and refurbishment service work on your heat exchanger products. We also provide spare parts, including gaskets, for Standard Xchange, TITAN Metal Fabricators, and Heat Exchanger Design products. Please note that Standard Xchange was formerly known as “ITT Standard” or “American Standard”. 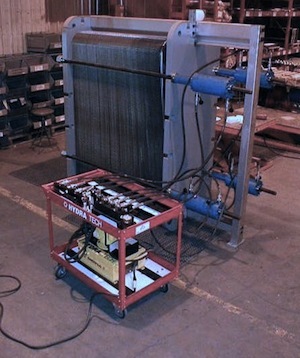 In addition, we sell replacement gaskets for other makes of Plate and Frame heat exchangers. The following Standard Xchange Installation, Operation and Maintenance Manuals are provided for your convenience.